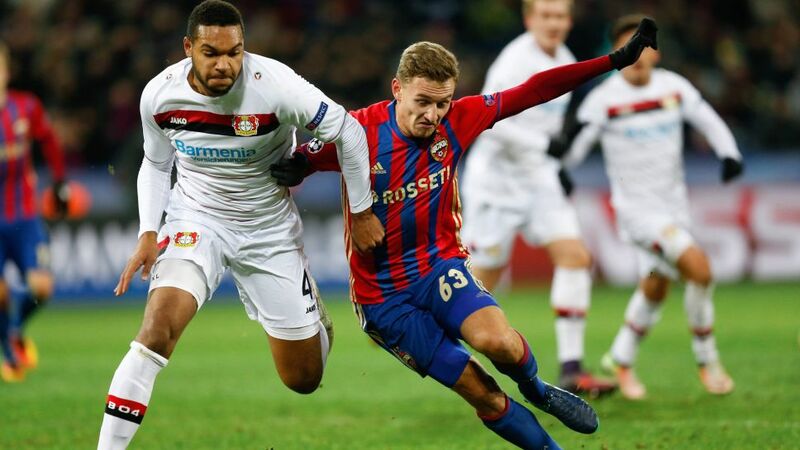 Bayer 04 Leverkusen qualified for the last 16 of the UEFA Champions League after their draw away to PFC CSKA Moscow was followed by defeat to Monaco for Tottenham Hotspur. Fancy adding some Leverkusen stars to your Official Fantasy Bundesliga team? Head here to do so! Leverkusen were largely in control before the break and they took a grip on proceedings when Kevin Volland seized upon some slack defending by the Russian side. A free-kick found Kevin Kampl on the right, and his precise, chipped pass to Volland, in yards of space, gave the striker time to finish clinically from six yards out. CSKA looked dangerous on the break, but Leverkusen had the ball in the net again before half-time, only for Ömer Toprak’s effort to be disallowed for offside. CSKA thought they had equalised early in the second half, but again a goal was ruled out, this time for a dangerous overhead kick by Bebars Natcho that connected with Jonathan Tah. Hakan Calhanoglu went close for Leverkusen, curling a free kick wide, while keeper Bernd Leno kept his side ahead by taking the pace off an Aleksandr Golovin shot and then grabbing just short of the goal-line. But CSKA’s intensive pressure paid off when Benjamin Henrichs brought down Mario Fernandes to give away a penalty that Natcho drove home low to Leno’s right. Volland struck the post with a curling shot late on, and while Leverkusen were disappointed not to have won, but was a battling display that stands them in good stead for Saturday’s clash with FC Bayern München at the Allianz Arena.